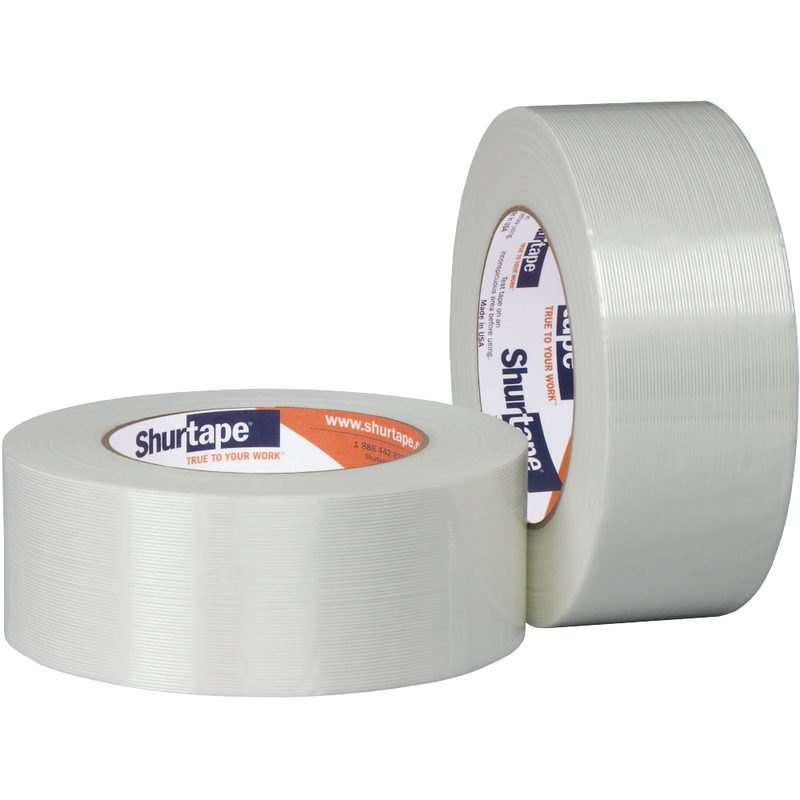 Shurtape strapping tapes are specifically designed for strapping and bundling. Our strapping tapes are exceptionally durable and are engineered to keep pallets and bundles intact – even throughout the roughest ride on a semitruck or a transcontinental flight. Our GS Series strapping tapes feature a polypropylene backing, which allows for added durability. For a strapping tape that is made of a high-performance grade fiberglass, has strong adhesion and shock resistance, is moisture- and solvent-resistant, and will neither split nor crack, turn to a roll of Shurtape strapping tape. Why Is a High-Performance Strapping Tape Important? Strapping tapes are most commonly used when bundling boxes or cartons on pallets. When shipping large items, or bundles of items, of any value or importance, it is essential that they are well packaged. The strapping tapes at Shurtape are engineered with polypropylene backing to be able to withstand load shifting without snapping. Top-grade strapping tapes, particularly the ones we manufacture at Shurtape, hold boxes or cartons tightly to ensure their safety during the shipment.